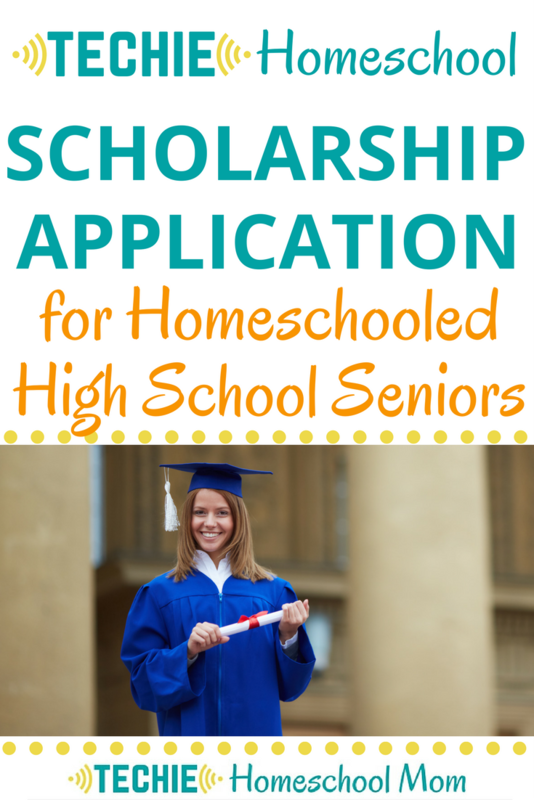 If you're homeschooling a high school senior, then you know that graduation is just around the corner! 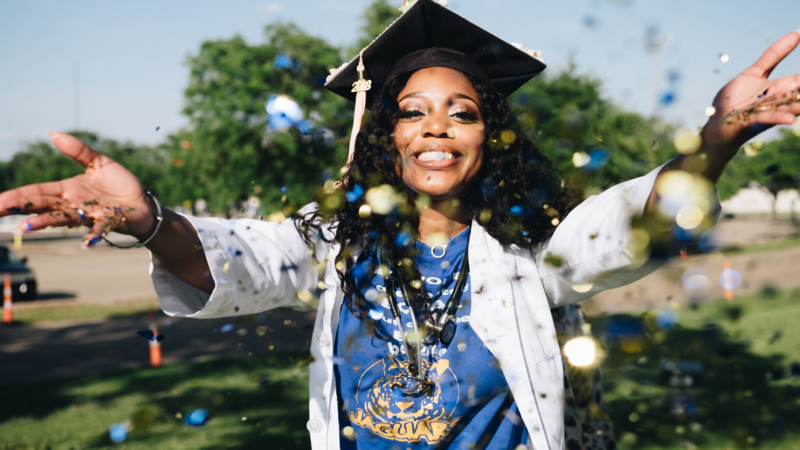 Graduation is a fun and exciting time in your child’s life, but how do you commemorate this event when you won't be having the traditional school graduation ceremony? 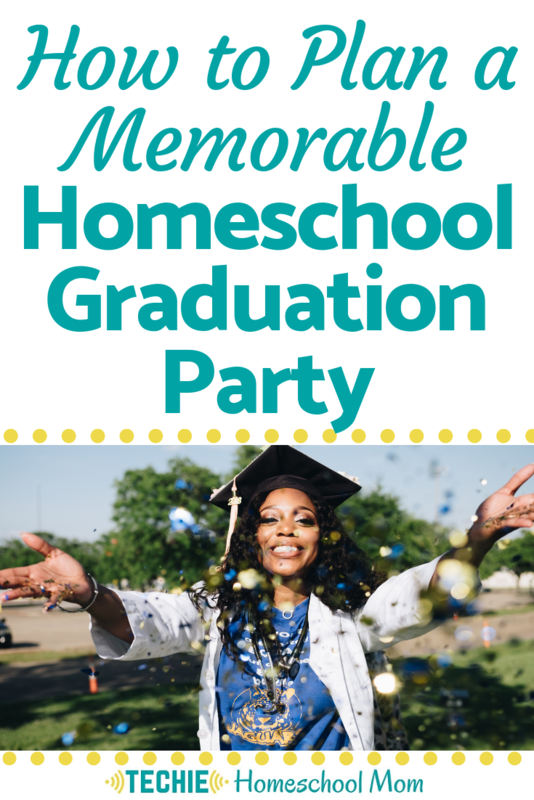 You create your own homeschool graduation celebration that your grad will never forget. The first step to throwing a party is to invite your guests of course! You want to prepare your invitations to be sent out at least a couple months in advance for guests who live nearby, and about three months for guests who would need to fly or live out of town. 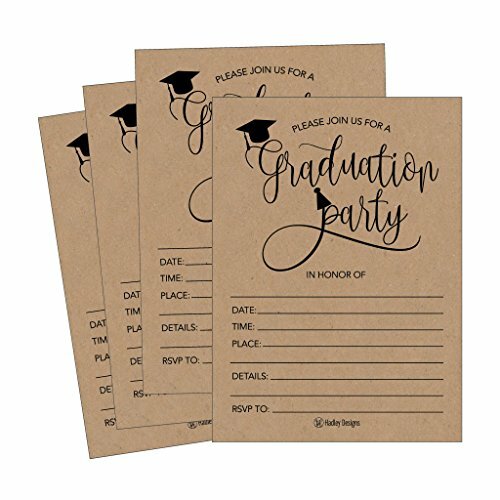 While you may be able to do digital invitations if you have guests who check their email or are online frequently, it may be best to stick with paper invitations for the grandparents and older guests. 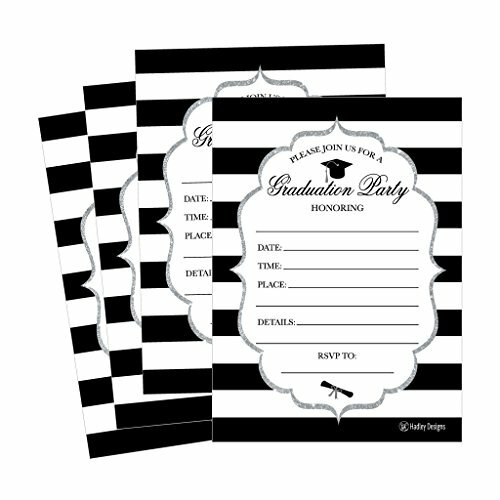 There are a number of options you can do for decorations for your graduation party. 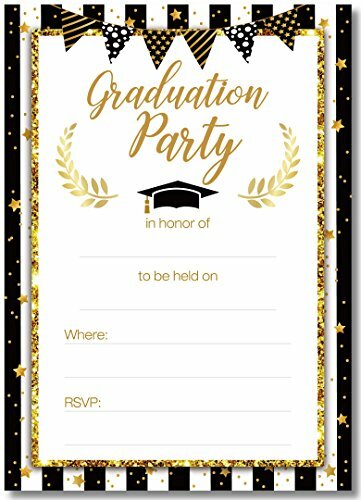 If your senior is attending college next semester, you could use their new school colors to theme your party or just go with the classic black and gold graduation colors. This banner would look great hanging over the food area, in the entrance of your home, or in any room of your home. If you want a great activity that your grad will cherish for years, consider creating an “Advice for the Grad” station using these cards. Make sure to put this in a prominent location to your guests don’t miss the chance to share wisdom with your child. One of the most important parts of a party is making sure your guests have plenty to eat and drink. The worst thing that can happen is that your guests run out of food or something to drink and you have to run to the store in the middle of your party. First set out party trays on your food table to act as placeholders. These mini-chalkboards are a great way to label your food so guests know what they’re eating. You can also add “graduation themed” touches to traditional food. 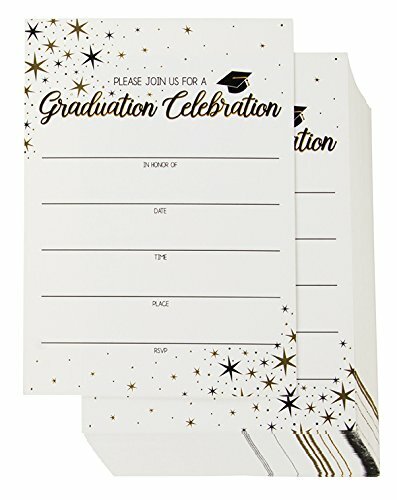 These graduation themed party picks are a great option. And don't forget disposable graduation-themed plates and cups to avoid doing the dishes for hours after your party. When you have a better idea of how many guests are coming to your party, you can start thinking about food and drinks. If you're having a small party, a graduation cake might be the best option, but if you are hosting a larger party, you may want to consider cupcakes (since they're easier to make in large quantities). Throwing a graduation party is easy if you have all the right supplies! 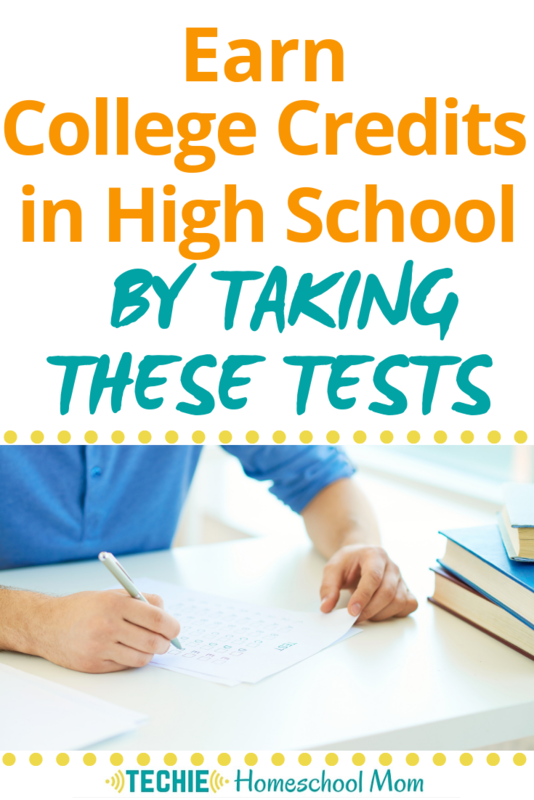 I hope this post has helped you prepare for your senior’s graduation, and celebrate this important milestone in a fun way.